Karen is Kenny's rarely-seen little sister. She often clings to her brothers Kevin and Kenny for support. She likes playing with dollies, visiting North Park Funland with her family, and ice cream, and has been seen to share a bedroom with her brother Kevin. When her parents were taken away and they were assigned to a foster family, Karen had trouble adjusting and missed both of them despite their fighting. She stayed close to her brother, and was protected by her mysterious guardian angel, who eventually helped secure their release to their homes. Karen used to bear a resemblance to Heidi Turner when her hair was let down from its pigtails. Karen's relationship with her family is still a topic of exploration, but she seems closer to her mother than her father. She and Kenny appear to be quite close, especially when things get tough, and he'll do anything to make her happy. The original script for "Starvin' Marvin" referenced a daughter appearing with the McCormick family but she never appeared in the finished episode. According to the South Park Scriptorium, a press image was released of Kenny and his sister by Comedy Central around this time. Nonetheless, the character made no official appearance until "Best Friends Forever", where she had no lines and was not acknowledged. She was not referenced or seen again until season 15's "The Poor Kid", where she made her proper debut, played by Celeste Javier. The name Karen first appeared on-screen here, but had been commonly used in fan circles for years, having been falsely attributed to Matt Stone by a Wikipedia editor years before. 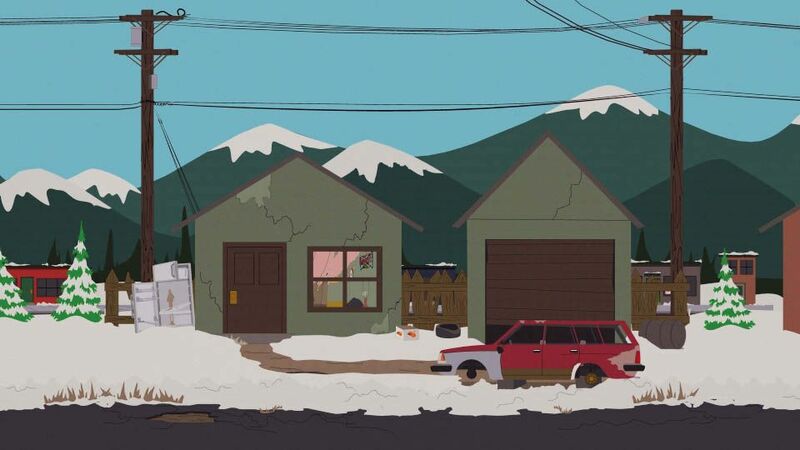 It's inclusion in the episode is therefore likely a nod to South Park fans. It is believed that Karen and her bond with her brother Kenny was inspired by Nadya and her robot friend Kenny from Protecto 5000, a short from Nickelodeon's Oh Yeah! Cartoons. The short was about a robot named Kenny (voiced by Richard Moll) who befriends a lonely girl named Nadya and protects her from harm. It is also noted that both girl's protectors are named Kenny. Like Karen, Nadya has trouble fitting in, gets picked on by bullies, and hardly has any friends. 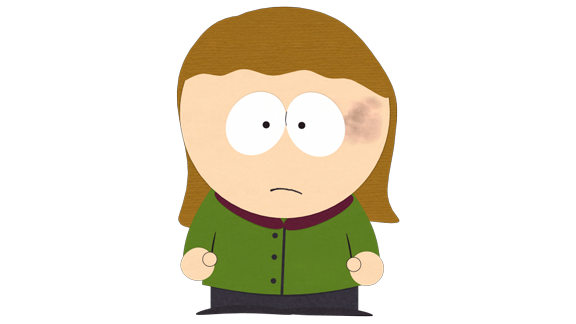 A connection of South Park to the short is that South Park's Mary Kay Bergman voiced a character or two in Protecto 5000. Karen is seen sitting on the family couch watching television and though she plays no role in the storyline, the player can interact with her. Karen mentions her 'sister', Princess Kenny thinks the player is cute. When farted upon, she sadly mentions that she "thought you were different."